The Christ Child is a gift bringer who appeared in place of the Catholic pre-Reformation Saint Nicholas. In terms of the custom’s history he is therefore younger than Saint Nicholas but significantly older than Santa Claus. The Christ Child was introduced by Martin Luther (1483-1546) and the reformers, who rejected the veneration of saints. As a “substitute” for the gift bringing character of Saint Nicholas, an asexual angel-like creature in a translucent white robe was introduced also called the “Holy Christ” by Luther. With this Luther actually meant Jesus Christ, the Saviour. The fact that the portrayal changed over time is probably down to less theologically thinking, simpler people. The angel-like ghostly creature, which was difficult to portray in Medieval nativity plays and Christmas processions, was turned into the new-born baby Jesus in the nativity, in accordance with the story of Christmas. The new name is made up from the Holy Christ and Jesus Child making Christ Child. 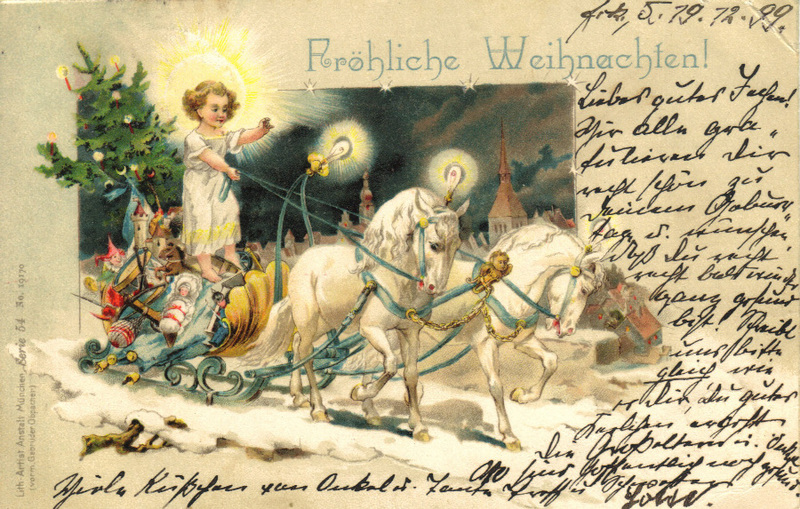 The Christ Child has been popular in Christmas customs as the gift bringer since roughly 1800 in south Germany. They secretly bring children the gifts on the evening of the 24th December surrounded in a mysterious light and they are never caught in the act. Artistic portrayals of gift bringing situations with the Christ Child are relatively rare. In them he is usually portrayed as a child in a white shirt with a halo and is usually accompanied by larger angels. 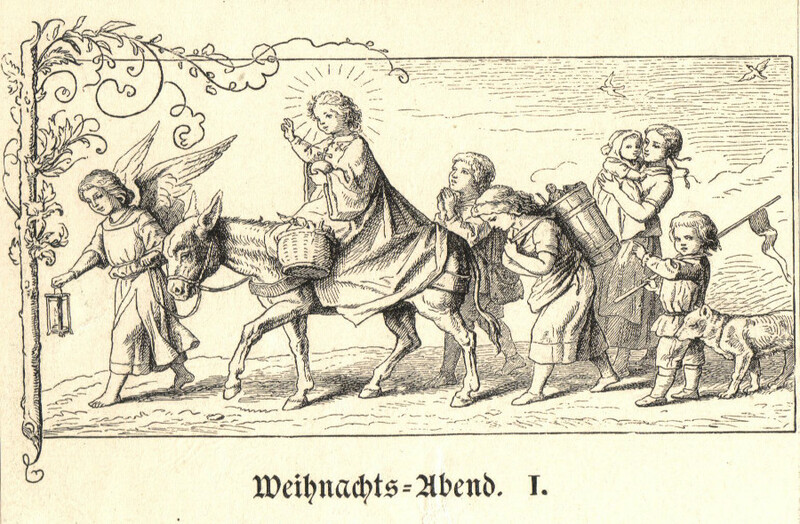 Although the Christ Child was introduced by Luther, he is mainly popular in south Germany’s Catholic regions. In the more Protestant north it tends to be Santa Claus who brings the gifts, it is not uncommon for the Christ Child to be totally unknown as the gift bringer there.